It was the month end. She was hanging out with her best friends when her phone vibrated. Her account had been credited. She shouted out loud. She was beaming with happiness to have earned her first income! Ever since she graduated, she had doubts about whether to study further or start working. After half a year, she decided on doing a job. It was her first job but she didn't let it intimidate her. She was just a free spirit as she was before taking the job. Her friends thought that they wouldn't see her for weeks. But, even after working a long hard day, she always had the energy to meet them. Her parents thought that she was working too hard but it was just natural worrying that parents do. She went home and told her parents. They were delighted. Their little daughter had grown up. She had set a goal for herself, which was to be financially independent. Her parents were really proud of her. That day she took them out. She bought a saree for her mother, shirts for her father. Then, she took them out for dinner. They were a happy family that time. It was a precious moment. They talked about how the years went by so quickly. They reminisced about her past quirkiness, celebrated her present boldness and anticipated her future smartness. They remembered her first day at school, first award for topping the state, first scholarship and now her first salary. At that moment, they felt blessed for adopting a daughter. They somehow had a vibe that she was their bright future. People thought poorly of their decision. 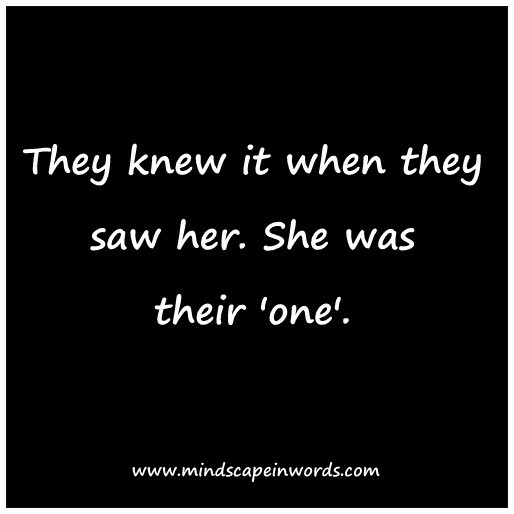 But, they knew it when she saw her. 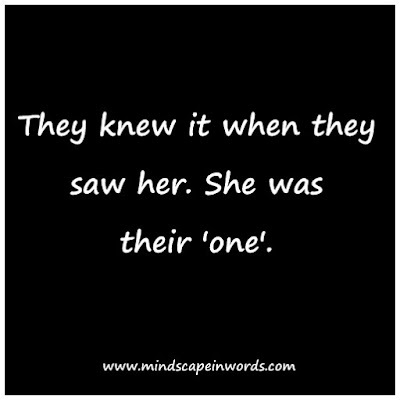 She was their 'one'. This is such a fun way to express a moment! thank you for sharing it with us! What a fun little series! I love the way you put such a moment in just one paragraph! Super fun and quick, but still shares the entire emotion! Awesome moment. Have a great Monday! I love this series! And this is inspiring that this young gal is reaching her goals and making her parents so happy! Ohh first jobs. It's an exciting time! What a fun series. Thank you for sharing this with us. Love it!